What does it really mean when a beauty brand claims to make you beautiful? Does their beauty promise latch on transformation? Does it commit to worlds beyond your reach? For skin-favorite Céleteque Dermo, the answer is quite clear. With products co-created with dermatologists and curated by beauty experts, Celeteque Dermo grounds its philosophy on the dermatological proposition that beautiful skin, and in turn overall beauty, starts with healthy skin. Céleteque Dermo celebrates its 10 years of skin health with the promise of making you DermoBeautiful. 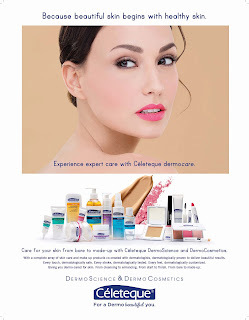 What Céleteque Dermo does is offer customized skin care solutions for every skin type. It sits at forefront of innovation and uses only the latest derma-grade ingredients and technologies to consistently release new products and improve existing ones in order to promote skin health. Each product is proven by clinical tests and evidence-based research to be effective and safe for everyday use, so there are no empty promises. It promises healthy skin, so it gives you healthy skin, making you not just your most beautiful, but ultimately DermoBeautiful. Part of Celeteque’s lineup of celebrated products is Céleteque’s DermoScience line, skincare products that caterto specific skin needs—from Hydration, Acne Solutions, and Sun Care, to Brightening, Advanced Anti-Aging, and even Hair and Scalp Care. The products have earned a loyal following and have become staples for even the most meticulous beauty experts. If you want to be even moreDermoBeautiful, Céleteque DermoCosmetics takes things a step further, promising expert color and cover through a line of cosmetics that combines the enhancing touch of makeup and nourishing benefits of skin care. The line offers everyday makeup that not only complements your skin care regimen but also enhances it. Céleteque Dermo leverages on Unilab's pharmaceutical expertise, thus providing a deeper and long-term enhancement of skin health. 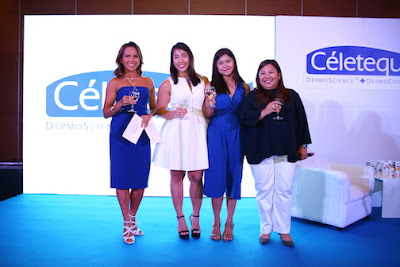 Céleteque has been promoting #DermoBeautiful skin for 10 years, and as it celebrates this decade-long commitment to skin health, it welcomes only more opportunities to provide solutions for every type of skin and soothe its every concern. In as far as beautiful skin goes, nothing quite beats standards that rely on derma-level skin health. After all, healthy skin is beautiful skin, and beautiful skin is the cornerstone of beingbeautiful. Truly, the future is only more #DermoBeautiful with Céleteque.